The increasing number of challenges in personal and professional lives has resulted in increased divorce rates. Divorce has now become an easy way to escape from the challenges in life. If you have questions about what you can do to make your partner happier and more satisfied, you should feel free to ask them. Expect your partner to listen to you with an equal amount of respect. If your partner is verbally abusive, belittling, or refuses to engage in conversation, let them know how their behavior makes you feel – hopeless, alone, and dejected. Stay positive. Your spouse fell in love with a happy and emotionally balanced person. If you have become exhausted by conflict in the relationship or no longer feel your marriage is salvageable, take a step back. It’s natural to feel down about conflicts in your relationship, but try to focus on the big picture. When you feel depressed about the state of your relationship, think back on all the good times you’ve had with your spouse. Your happiness should not be dependent on the other person. Focus on being the best you can be, even if your partner is not. If you expect the worst from your partner, you’re more likely to see and focus on your conflicts and problems. Try to be attentive to subtle, positive changes in how you and your partner interact. Share these positive changes with your partner. Divorce is not often a permanent situation. Many couples feel the value of their marriage after the divorce. 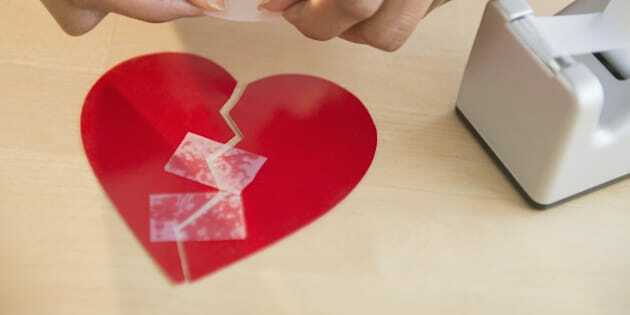 They want to reconcile after divorce and give another chance to their marriage. They try to rebuild their broken relationship into a better and more enduring one. It is generally assumed that once a warring couple climb the stairs of the courthouse they are on a direct trajectory to divorce. But guess what, this isn’t always the case. Sometimes, divorce proceedings can turn on their head and open the path for reconciliation. A great example of a focus on reconciliation is the Bandra Family Court. Over a period ranging from a few months to a year they successfully counselled more than 100 couples and made them realise the benefits of living together again. The general air of festivity that electrified an open air gathering of couples, judges, lawyers and curious onlookers would have had you believe that you were at a wedding and not in a court where the couples had come to perform the final rites of their marriage. There is a misconception that when you file for divorce there is no going back legally and not enough has been done by lawyers, the court and even counsellors to spread the right kind of awareness about the options available to couples. Fact: Withdrawing a petition for divorce is one of the easiest things to do, and the law does all it can to encourage couples to reconcile. An interesting case that I was involved in entailed a divorce petition filed by Bimal*. He had been married to his wife, Manjari, for 10 years and they had two children together, a boy and a girl. Bimal wanted a divorce because he had ambitions to move abroad to expand his business. His wife was shocked. But even though she was born and brought up in a small village in Gujarat before moving to Mumbai after marriage, her humble background did not deter her from fighting for her marriage and taking on the system. How to move past the grief and regret? No matter how painful, divorce, like all endings, opens the door to new beginnings. Ending your marriage is not just a legal technicality; there are also the emotional stages of divorce to work through. While not everyone experiences them to the same degree, there are predictable emotions that need to be recognized and worked through, as outlined in the following article. Divorce is an emotional task unlike any other in modern society, and different people experience it in different ways. While some individuals go through nearly all of the extreme emotional states that we describe here, others have an easier time getting through this period and will maneuver these choppy waters with more skill. The important thing to remember is that all the emotions we discuss are normal, but while some are readily acknowledged by the people experiencing them, others are so uncomfortable that it’s difficult even to admit they exist. Being sad when a marriage ends is natural. Although it’s painful, grief is a healthy emotional response to the loss of an important relationship. We are hardwired to feel it, and it wouldn’t be reasonable to expect otherwise. 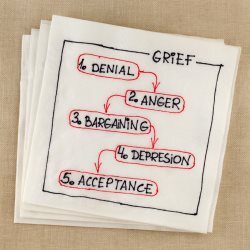 While sorrow and grief can be very hard to handle, most people do understand and accept the inevitability of these feelings. Understanding the reasons for divorce requires you to suspend any preconceived notions about why they happen. Many people mistakenly believe that most marriages end almost exclusively because of infidelity. While this certainly is a major factor, the decision to terminate a marriage is much more complicated. According to a variety of marriage related studies, there are a number of other causes that may surprise you. After doing considerable research on this topic, the relationship experts at the Couples Counseling Center are ready to present our top 10 list of reasons for divorce. The information listed here comes from different forms of scientific research, combined with input from counselors and therapists who specialize in marriage therapy. Alot has been written about the first date. How to dress, how to act, how to pretend that you’re a decent guy. The truth? That’s the easy part. On the first and second dates, you’re still coasting on the initial rush of attraction, the exchange of backstory, the spark of the unknown. Date Three brings something else entirely: reality. And there are many ways to botch it. During a first date, drinks are hard to beat. Neither party is locked into the rigid structure of a sit-down dinner, so, happily, you can bail at your convenience. (And save a hundred bucks.) As a second date, drinks are still acceptable, providing you mix up the venue and show a bit of range. As a third date, drinks suggest three things: 1) you are cheap; 2) you are boring; 3) you are an alcoholic. Nobody wants to plan for a divorce, but it is vital to protect yourself in the event it happens. Should a divorce be on the horizon, it is important to follow this advice to put yourself in a stronger financial position and shield your relationship with loved ones. Collect all of your financial records and deliver copies to your parents or a trusted friend. Also consider keeping them in a safety deposit box that your spouse can’t access. Having all of your records handy will save you time and money as you won’t have to reprint financial documents that your spouse may later try to hide. It is important to open a new checking and savings account at a bank that is separate from all other joint accounts. Be sure to keep enough money in your new checking account to pay for two months of living expenses and put the rest in an interest-bearing savings account. During your divorce, you will likely need quick access to money to pay a bill or make a down payment, so it is vital not to lock-up your money.